Benton is minutes to the State’s Capitol. Saline County has built a new airport that has a 5,000 foot runway. Hunting, fishing, boating, camping and swimming are great activities with the Arkansas River and the many lakes, (which include) Degray Lake and State Park, Lake Catherine, Lake Hamilton, Lake Ouachita, Winona Wildlife Management Area and the Saline River nearby. There are 5 public parks in Benton for recreational activities, including baseball and softball fields, tennis courts, basketball courts and walking trails. The city of Benton also has its own radio and television station that program all the area schools and sporting events. 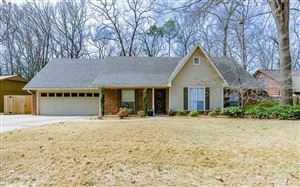 You will find the perfect location for your family in Benton and at a great price. Benton offers affordable housing subdivisions and lots of rural home sites for you to custom build your dream home. Along with a variety of furnished or unfurnished apartments. Healthcare: Benton offers the best in medical care for Saline County residents. Benton is close enough to Little Rock so you can enjoy all the benefits of the big city. Benton has a population of around 27,000 and keeps growing. Benton is a great place to live and to raise your family. There are more than 50 industries in the area with many businesses relocating or moving into the Benton area. Benton also has universities and trade school facilities, several elementary schools, 1 middle school, 1 junior high and 1 high school, wonderful health care, nursing homes facilities. All this makes Benton the place to be. Benton offers comfort, culture and convenience but does not have all the hustle and hassles that come with living in a large city. 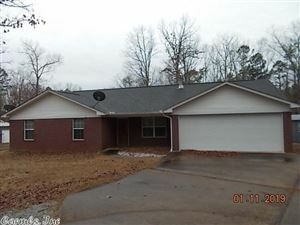 Find a home in Benton, AR.